These Kofta use just beef but you can easily substitute, lamb, pork, chicken, or some combination of these depending on the sort of meal you will be serving. The preparation method is nothing more complex than blending together the above ingredients. 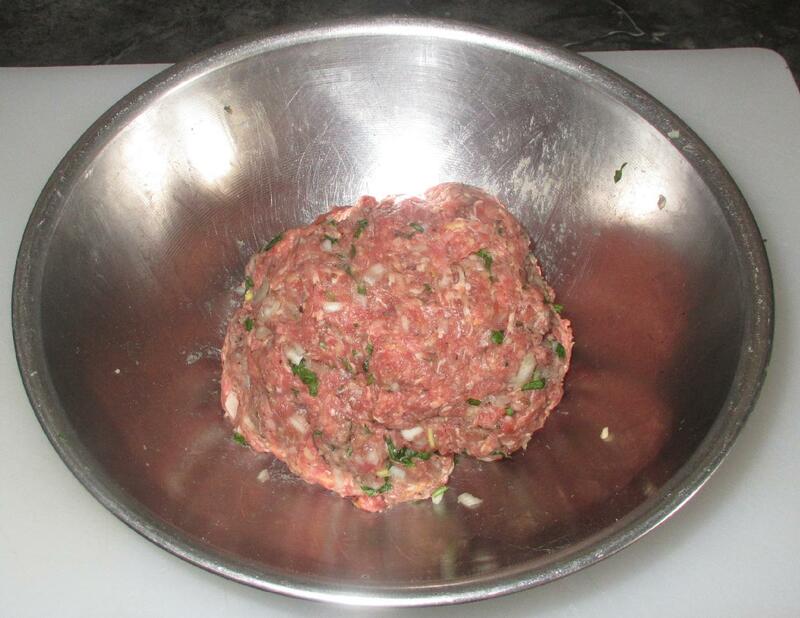 The consistency of the finished product will depend to some extent on the initial coarseness of the ground meat but can be thereafter be altered by the degree of mixing. You can make the finished texture quite smooth and refined by really beating the ingredients together vigorously, or leave it much more ‘burger’ like by stirring the ingredients together just a few times. It’s all just a matter of personal taste, of course, but some specific preparations will call for a particular texture. 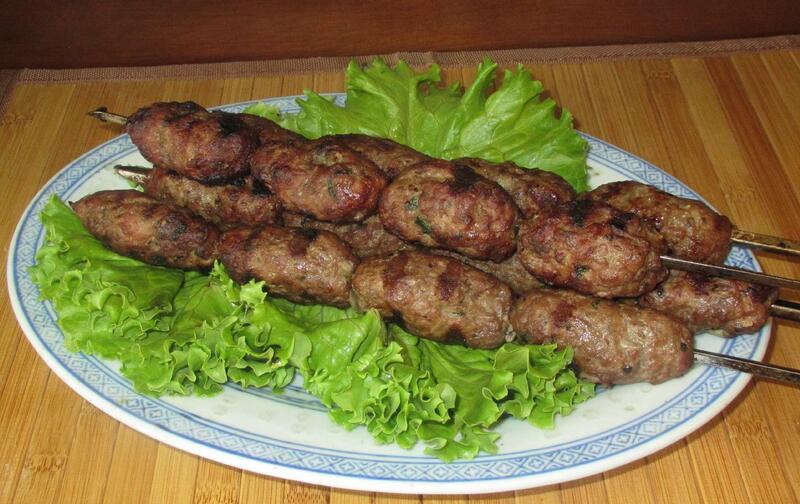 The shape of each Kofta will vary from cuisine to cuisine and recipe to recipe. 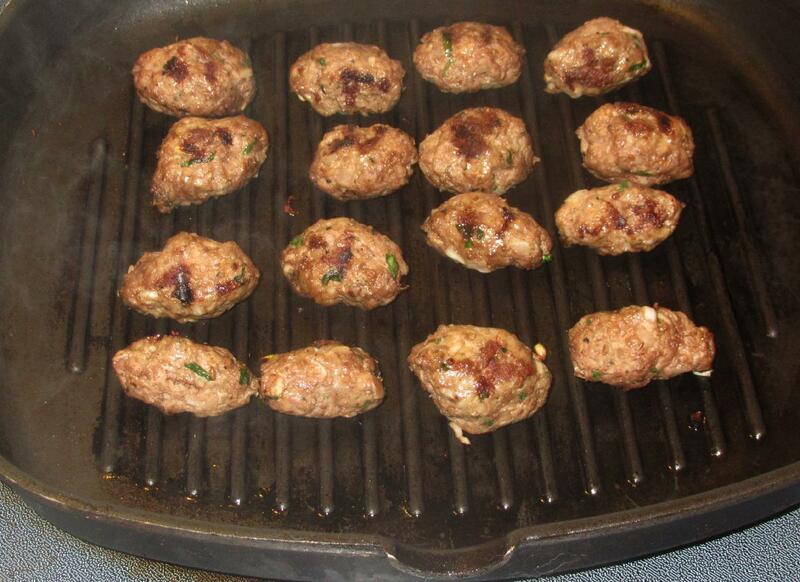 Balls, or balls flattened into small patties are used extensively, while the elongated tapered ‘torpedo’ shape you see above is quite common in Arabic cookery. 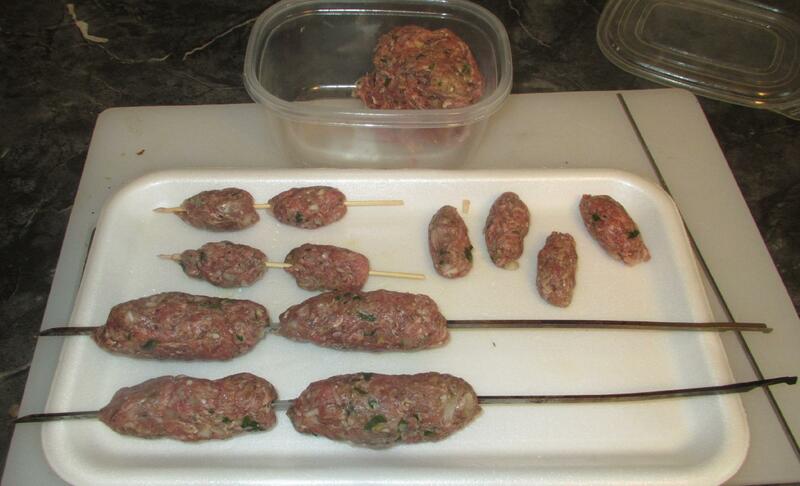 Here, I have formed my Kofta into two distinct sizes as this batch is destined for a couple of different uses. 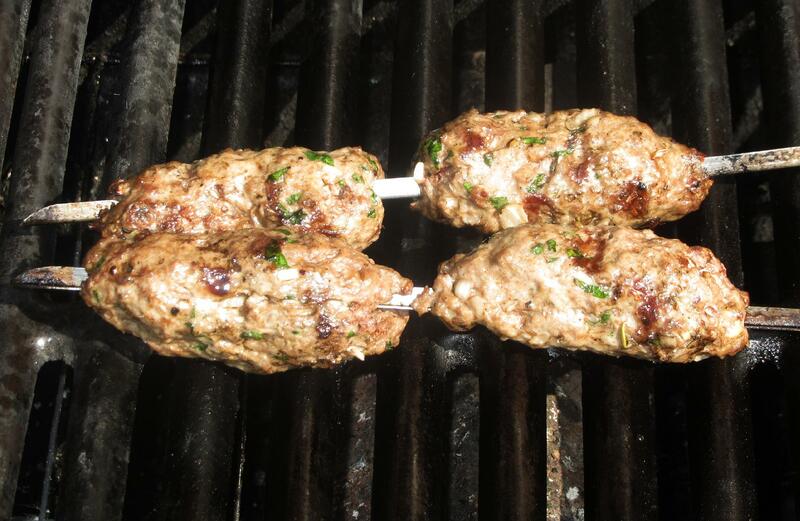 There is no magic to the actual grilling… The length of time will obviously depend upon the size and you can usually use a very hot flame unless the Kofta are extremely large. The idea, of course, is to allow the caramelization and ‘grill-marking’ to add extra nuances of flavor to the meat. 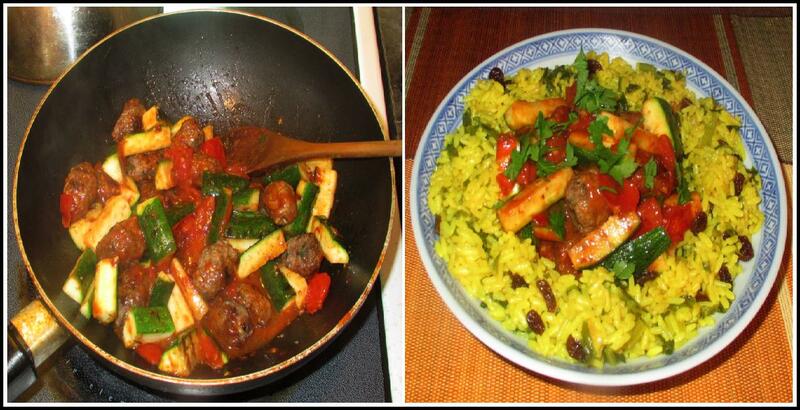 Pan-frying can also produce very nice results and, if a ridged grill-pan is used, one can achieve a pretty decent approximation of flame-cooked Kofta even when the weather doesn’t permit out-door cookery. A tablespoon of black pepper will make these boys quite spicy!